Rieko Ioane scored two tries as the All Blacks ruthlessly beat the British and Irish Lions 30-15 in the first Test at Eden Park on Saturday. The spirited Lions were well in the game at half-time, with Sean O'Brien finishing off an incredible team try to make it 13-8 to New Zealand at the break after Codie Taylor had crossed for the first try of the game. But two tries from Ioane took the All Blacks comfortably in front in Auckland, before Rhys Webb had the final say with a sniping try in the last play of the game. There were some good performances from the visitors, with the midfield combination of Ben Te'o and Jonathan Davies particularly strong, but it was ultimately not enough to see off the best team in world rugby in front of their home fans. Beauden Barrett opened the scoring in the 14th minute with a shot at goal, and the All Blacks then went ten points clear when Taylor picked up a pass brilliantly off his bootlaces to cross in the corner for the opening try. Farrell brought the Lions back into it with a shot at goal in the 32nd minute, but it was soon wiped out by Barrett's second successful penalty. Liam Williams sparked the game into life with a sensational run from deep inside his own half which ended with Sean O'Brien crashing over from close range to make it 13-8 following the missed conversion, and that's how the score stayed until half-time. After the break, the world champions flexed their muscles, with Ioane crossing for a try in the corner on the back of a dominant scrum from the hosts, and Barrett converting before adding another penalty. 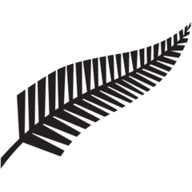 The Blues winger then crossed for another try after a mistake from Williams to put the All Blacks comfortably ahead at 30-8, after which Webb brought down the curtain on the opening Test with a darting try from the base of a ruck. In the 35th minute, Aaron Cruden put in an attacking kick behind the Lions' defensive line, and Anthony Watson grabbed the ball on the touchline and passed to Liam Williams deep inside his own 22-metre area. With every person in red screaming for Williams to kick for touch, the Wales international stepped past Kieran Read before setting off on an arcing run. The full-back ghosted between Aaron Cruden and Sonny Bill Williams in midfield to take play to the halfway line. Williams was tackled by Israel Dagg, but offloaded to Jonathan Davies who drew and passed to Elliot Daly. The winger checked his run before tearing down the touchline, and then fired an inside pass back to Davies in support. The Scarlets centre turned Beauden Barrett inside out and drew a further two All Blacks towards him before popping to Sean O'Brien, who crashed over to finish a brilliant team try. Ioane's first try took the All Blacks 20-8 ahead, a margin that would prove too difficult to erase for most teams in world rugby, and it was precisely the case for the Lions. Maro Itoje was full of energy when he entered the fray early in the second half. Will he have played his way into a starting berth in the second Test, or is that impact in the latter stages of the game exactly what Gatland is hoping for from the Saracens second rower? The All Blacks' first try will have annoyed defence coach Andy Farrell - Aaron Smith took a quick tap to get the play underway, but it was after the Lions had a chance to set themselves in defence, and the hosts simply passed the ball through the hands to the touchline and scored without much fuss. The second try will have irked scrum coach Graham Rowntree, as the tourists' pack was shoved back and splintered, which put the All Blacks on the front foot and once again they scored directly from the first phase. 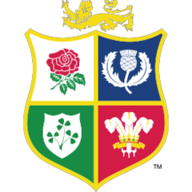 There was also missed opportunities to score, with Elliot Daly diving for the line early in the match but being bundled into touch, while Liam Williams - who was otherwise effective for the Lions - dropped a high ball which led to Ioane's second try. The Lions are still searching for a clinical edge which would aid them in dismantling Steve Hansen's men. For all those would have any doubts about the future of the @lionsofficial jog on! Unmissable sports entertainment! "We had an excellent first half," said Lions captain Peter O'Mahony. "We came and created plenty of chances. We missed chances at the start of both halves. "We're happy with some of the opportunities we created but our discipline wasn't where it should be. If you go into double figures you're going to struggle. "Huge amount to play for next week. We've got to recover and regroup." All Blacks skipper Kieran Read said: "That was a hell of a Test match. We got tested in that first half especially, and just after half-time. "Our defence after half-time probably won us the game. We held them out, then got our opportunities and took them."